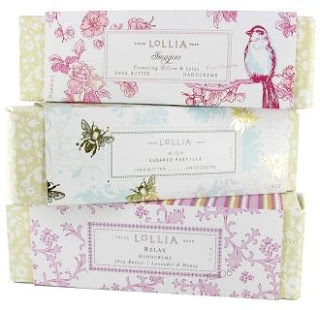 The Luxe Bride Blog: Lollia To The Rescue! I have chronic dry hands so I was delighted when I stumbled upon a wonderful hand cream made by Lollia. The French inspired packaging caught my eye right away but even more by the scent. As I put the bottle to me nose, I was blown away by the delightful floral fragrance. These handcremes also pack a powerful punch as it leaves you hands smooth and silky without the icky greasiness.